Financial Technologies (UK) Limited is committed to creating and shaping leaders who will help our customers make distinctive, lasting and substantial improvements to their business. We actively enable and nurture the development of leaders by helping exceptional people build deep knowledge and skills. These skills can then be applied to a wide range of challenges and opportunities. As a part of the Financial Technologies (UK) Limited, you will be offered great opportunity to make a real and meaningful difference, working in a lifelong community of distinction that is shaped by shared values. Our extensive in-house training program not only ensures that all our people are ready to perform, but gives us the ability to rapidly develop deep expertise to proactively plan ahead for tomorrow’s needs. Our training covers business, technical, management and behavioral skills. 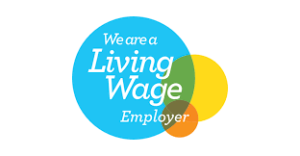 We are kind of employer who always believe in “People first”, we are accredited as a Living wage employer by Living Wage Foundation. Job Description: The Data Administrator will be handling large amounts of business data. You will receive the data using pre-designed software tools and enters the data into the data processing tools with very high accuracy. You will be processing the data and generating the reports for our clients. Experience in the same role is helpful, but not essential. Full training will be given before you start to handle the client data. High accuracy with the numbers. Experience in handling large amount of data. Analysing and interpreting the data. Entering raw data into our software tools. Generating the reports by following the pre-defined procedures.